A group of more than a dozen mobile operators from around the world committed to implementing the GSMA IoT Security Guidelines, which outline best practice and recommendations for security covering the entire IoT ecosystem. The operators – including AT&T, China Telecom, China Unicom, Deutsche Telekom, Etisalat, KDDI, Orange, Telefonica, Telenor and Telia – also agreed to adopt a comprehensive security assessment scheme to ensure IoT services are protected against security risks. GSMA Intelligence forecasts IoT connections will reach 3.1 billion by 2025. 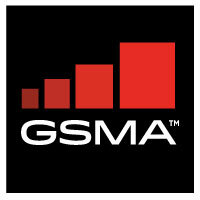 The GSMA said the guidelines are targeted at IoT service providers, device manufacturers, developers and mobile operators and provide best practice for the secure end-to-end design, development and deployment of IoT solutions across industries and services. They address typical cybersecurity and data privacy issues associated with IoT services and outline a step-by-step process to securely launch solutions to market. The guidelines are supported by an IoT Security Assessment scheme which provides a checklist to support the secure launch of IoT solutions into the market and keep them secure throughout their lifecycles, thereby creating a sustainable IoT ecosystem that is designed for end-to-end security. Both the guidelines and the assessment cover the fast-growing low power wide area (LPWA) or mobile IoT technologies such as LTE-M and NB-IoT. The GSMA’s IoT programme is hosting its 7th Mobile IoT Summit as well as Connected China, which brings together some of the country’s most innovative start-ups and developers to showcase their products and solutions using mobile IoT technologies across LTE-M and NB-IoT.